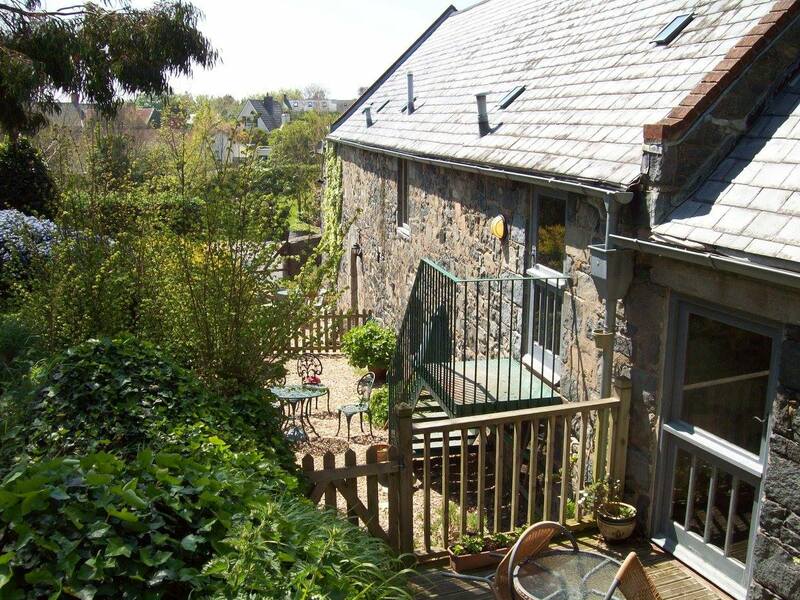 Tertre Farm Holiday Homes are nestled in a quiet part of Guernsey and have been converted from our old stable block. These listed out-buildings have been beautifully finished and are situated in a quiet lane in Vale. They are set between the shopping centre at "The Bridge", St. Sampsons and the award winning beaches of L'Ancresse and Pembroke. Each unit has the benefit of an adjacent off-road parking space, the homes also have a private outdoor amenity area, public telephone, outdoor drying facilities, and there is also a free tumble dryer. All the homes have been newly furnished and equipped to a high standard. They include colour TVs, DVD players and electric central heating. All linen and bedding is provided except beach towels. The owners live in the farmhouse and are available at all times. A hot tub is available in the summer house. Owl Studio for 2 adults, has an open plan living and dining area, with an oak finished kitchen. There is a gallery double bedroom reached by an open staircase. Bathroom with bath and shower. 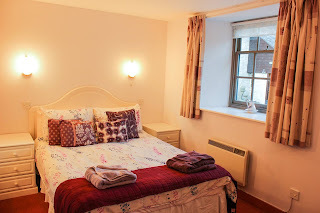 Swallow Cottage is for 4, with a double and twin bedroom downstairs, the open plan living area is on the first floor and is reached by an open wooden staircase. Bathroom with bath and shower. Stable Flat is for 3, and is a ground floor flat with a double and single bedroom. Bathroom with shower. 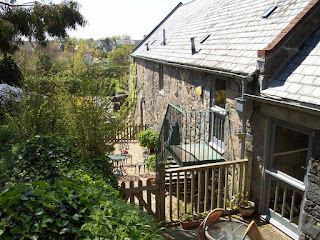 The Hayloft Flat is for 4, and is a first floor flat reached by an open metal staircase. It has a double and twin bedroom. An additional folding bed is available for a child. Bathroom with shower. A short walk will take you to 'The Bridge' our local shopping centre where you will find a French deli, supermarket, post office, a butcher, restaurants, pharmacy, bus stop, gift shop and banks. Guernsey is an ideal destination for all. Whether you fancy taking a stroll along the beautiful cliff paths, wandering through the quiet country lanes or spending your days on the island’s many stunning beaches.